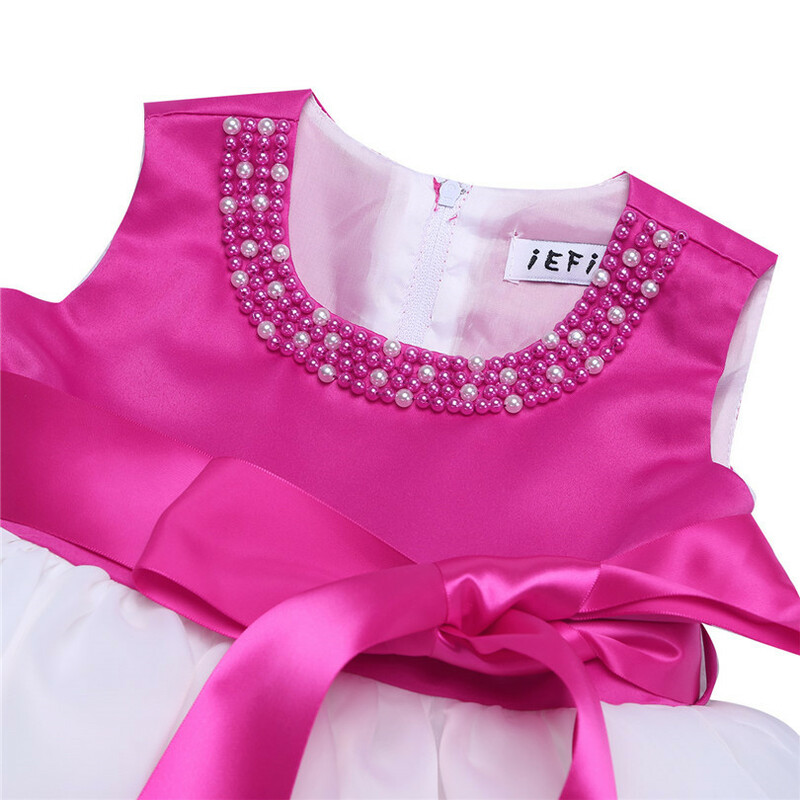 Scoop neck with pearls detailing with hidden back zipper closure. 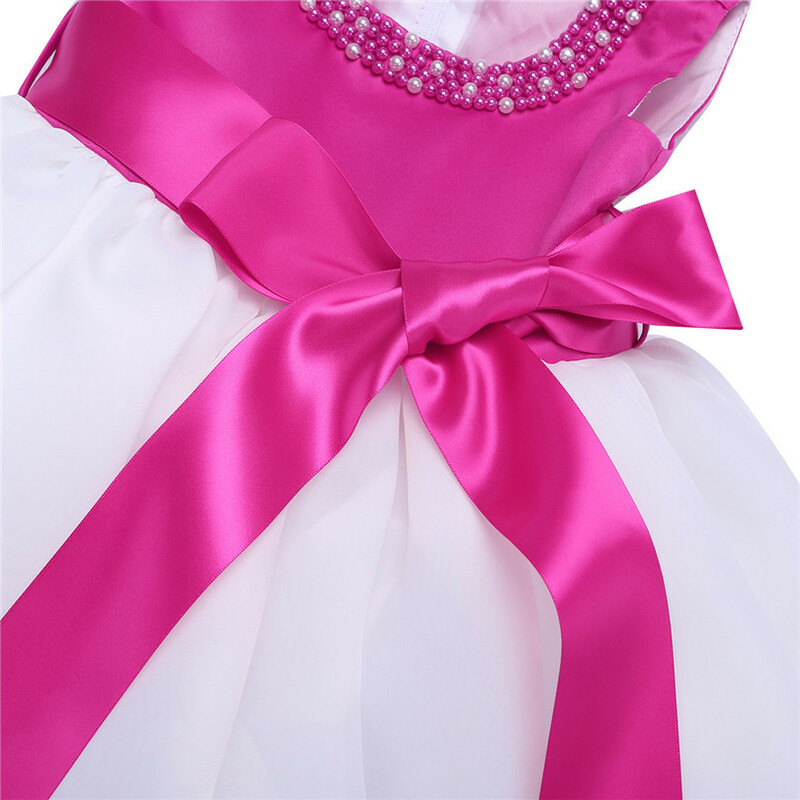 Comes with a removable sash tie bow at waist. 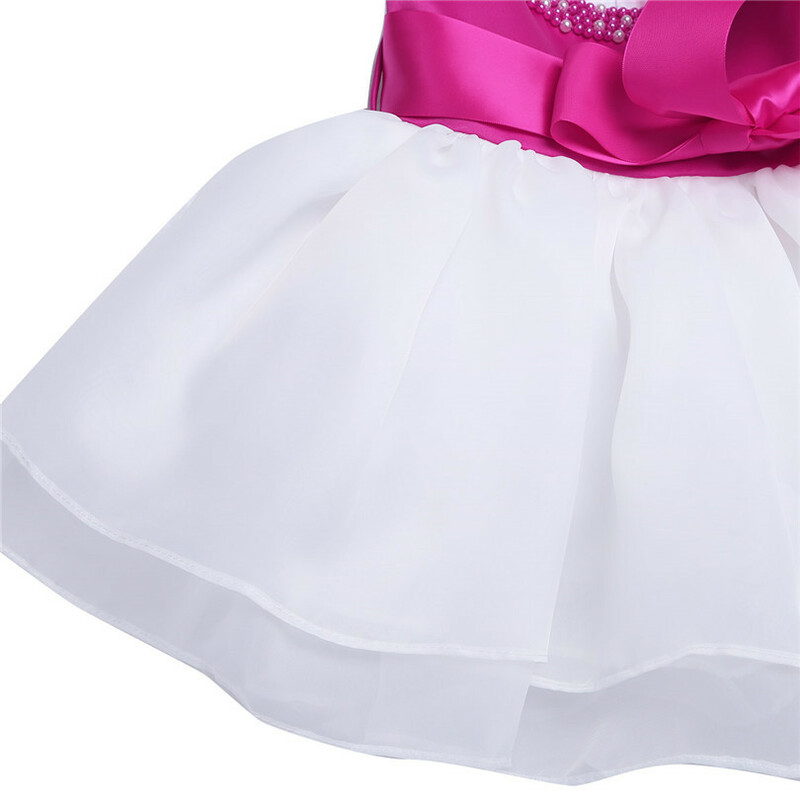 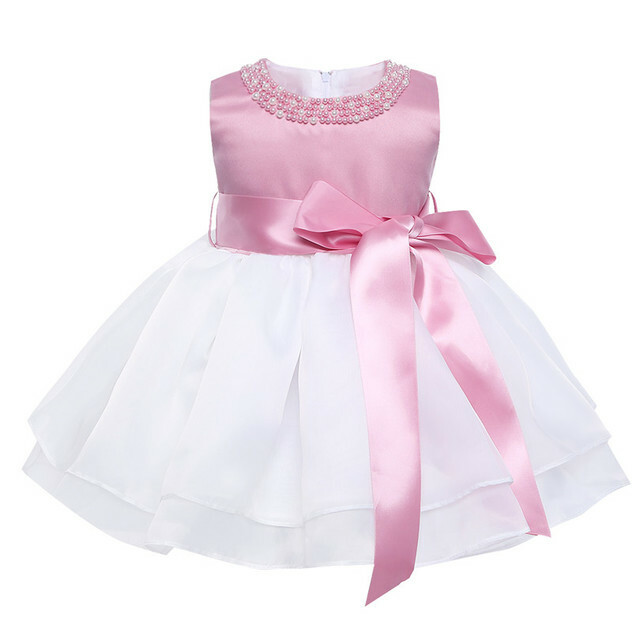 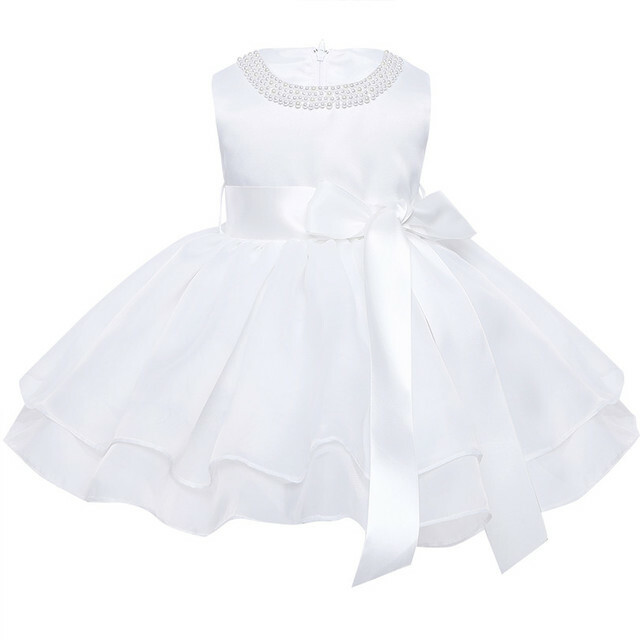 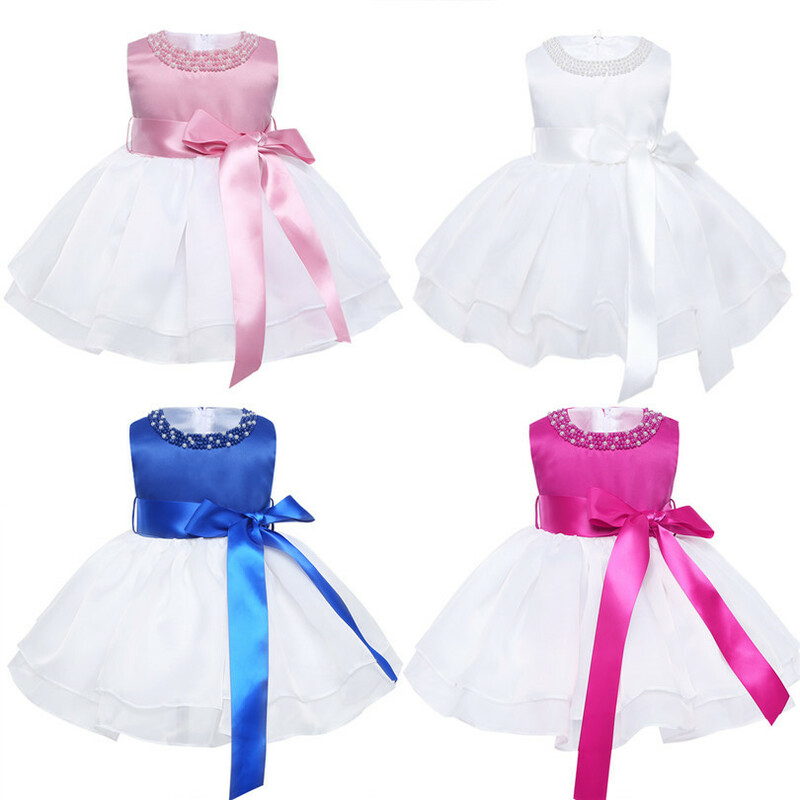 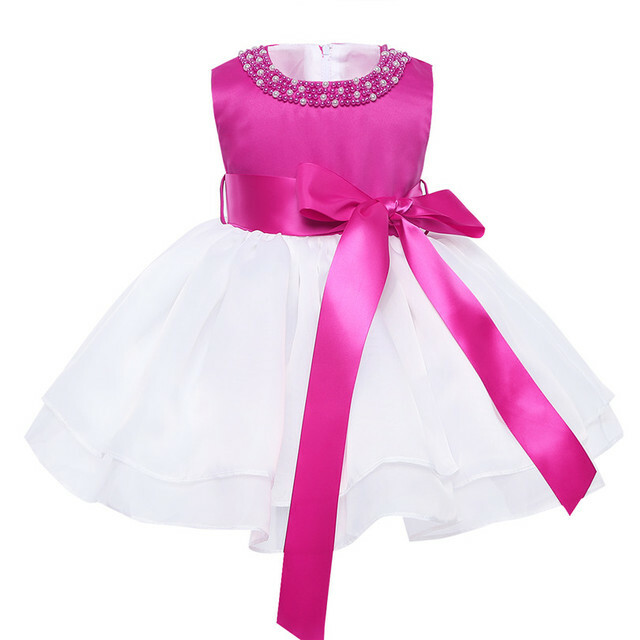 Perfect for party, wedding, pageant, christening, birthday and other special occasions.